Berries are big business. You pick up a pint at the store, or maybe pick them yourself on Sauvie Island, throw them in your yogurt, on top of French toast, or into your cereal. That’s about all the thought that berries get on a typical day. But do you ever wonder where all those berries come from? And did you know that Oregon berries are a $198-million dollar business? That’s major finance, right there. Berries! Who knew? Turns out there are three berry commissions and one growers’ association driving the production and marketing of Oregon berries, and the Oregon Berry Festival is the one time of the year they all come together. “In 2009, we wrote a USDA grant to start the Oregon Berry Festival because for years we’d been asked why there wasn’t a festival celebrating all of this great agriculture,” says Darcy Kochis, Coordinator of the Lifewise Oregon Berry Festival. “So all four of the Oregon berry groups came together to make it happen.” They weren’t sure how many people would show up the first year they held the Festival. Turns out about 4,000 people showed up. 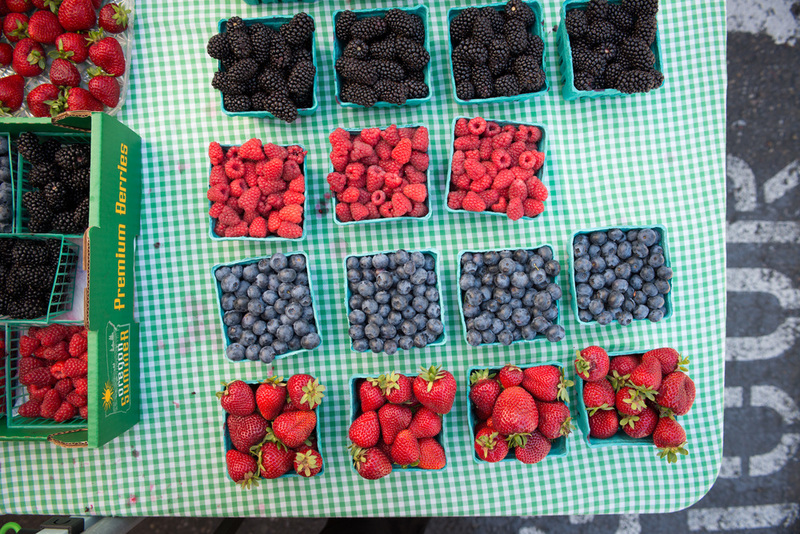 “All of the berry vendors sold out and they were exhausted,” says Kochis. “We have photos of vendors sitting on the floor afterward, just knocked out by what happened. Oregonians love their berries.” Thanks to that hugely positive response, the Oregon Berry Festival has continued celebrating the season every year since. “We have one time a year when the best berries in the world are all ripe, and that’s when we have the Oregon Berry Festival,” says Kochis. Held July 18th and 19th, we’ll all get a chance to taste the varieties of berries and products made from Oregon berries, like fresh-press juices, pastries, pies, crepes, truffles, sauces, steamed dumplings, cider, sodas and spirits, including (Darcy’s favorite) Marionberry Vodka by Northwest Natural Spirits.